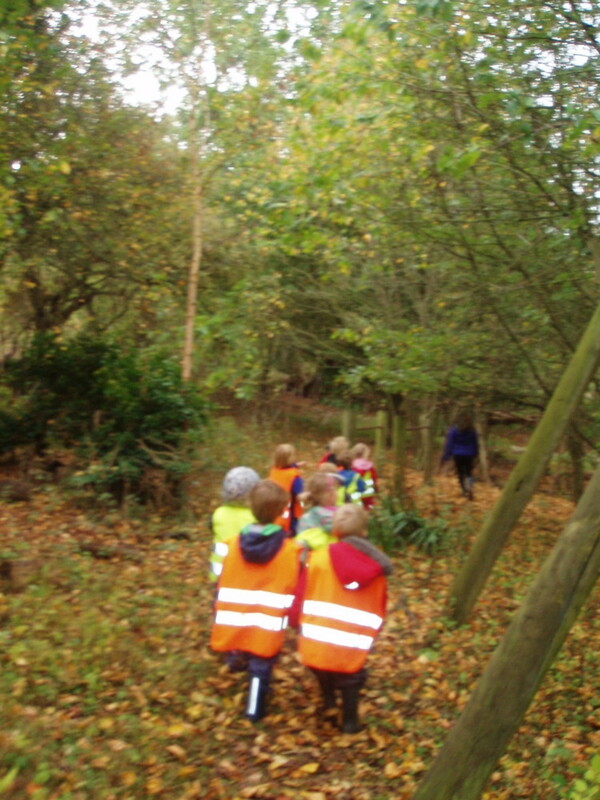 Holiday club & after school club. 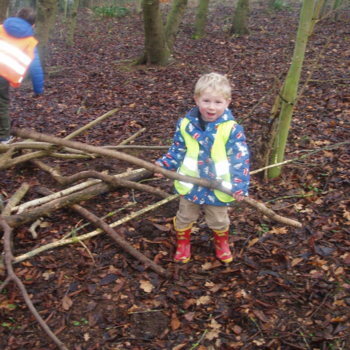 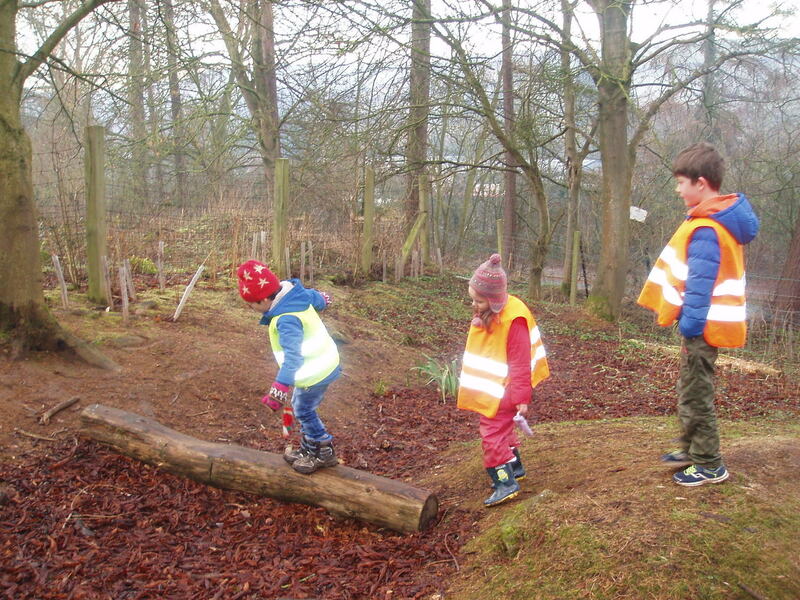 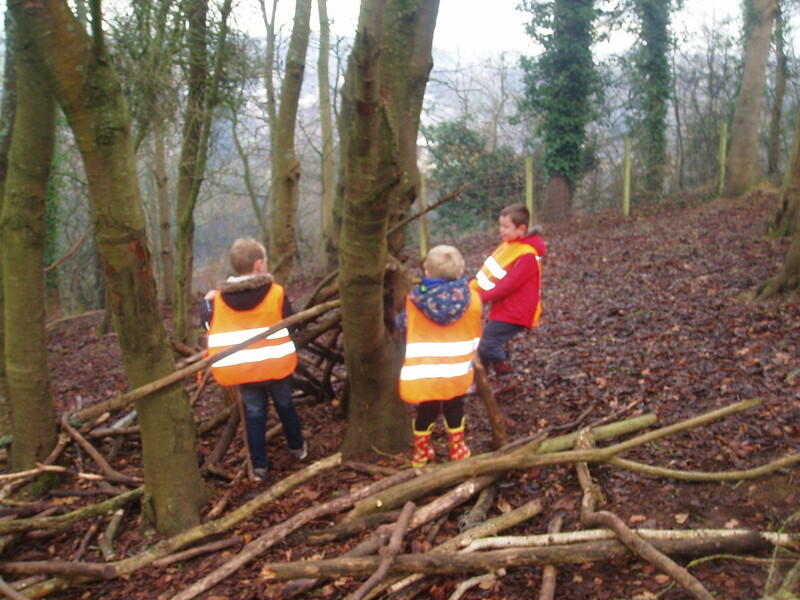 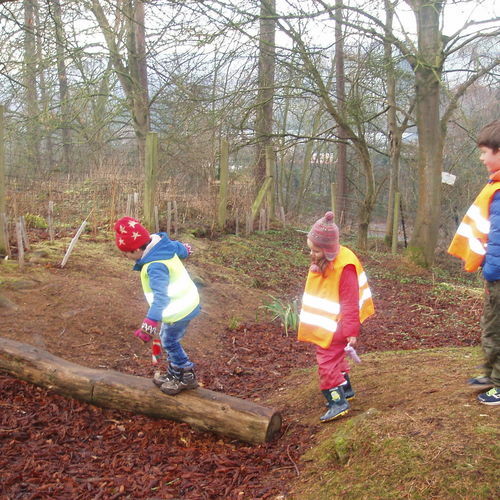 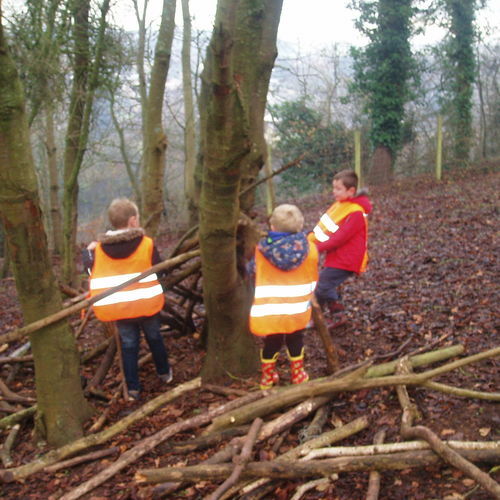 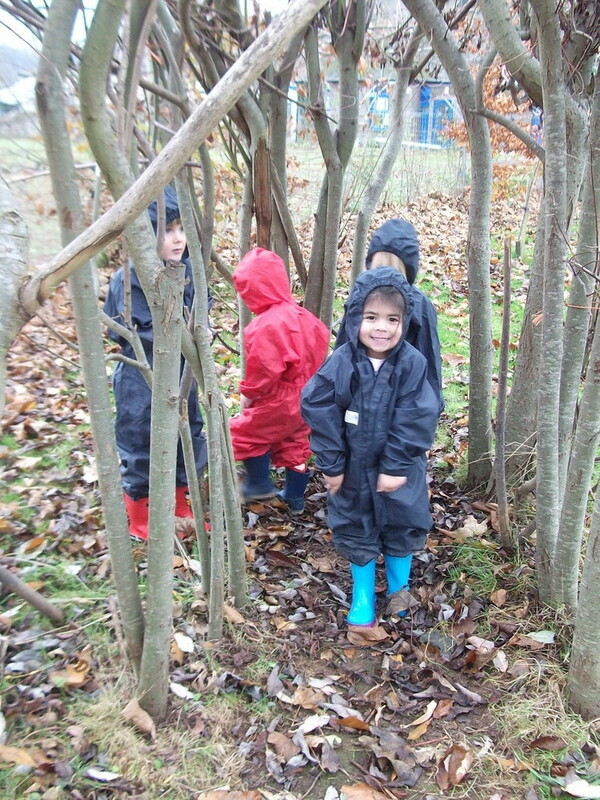 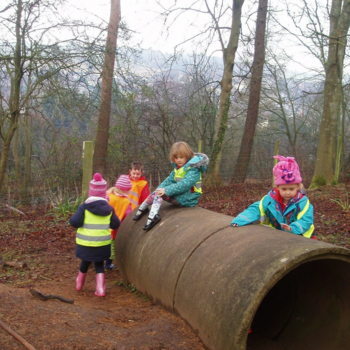 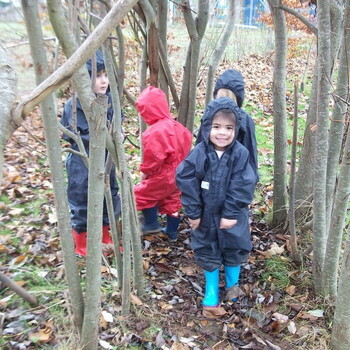 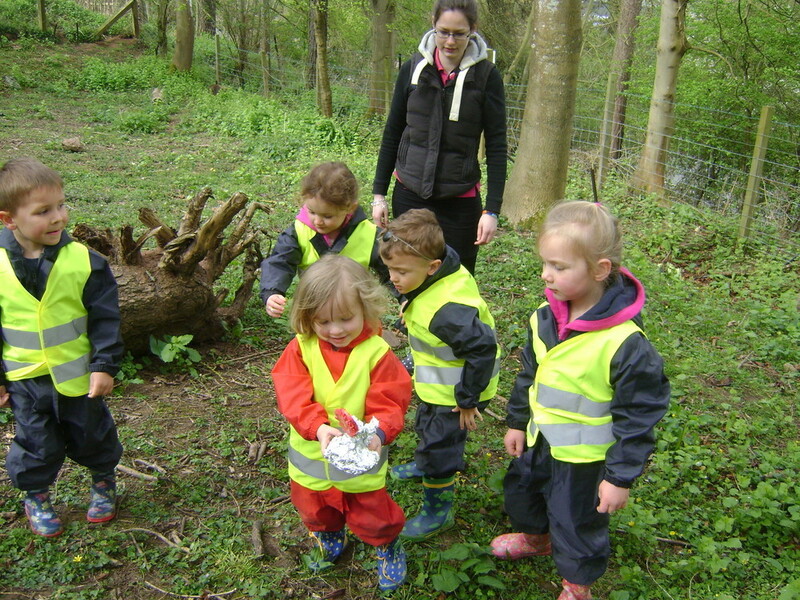 We are very lucky at Tiny Beginnings to be able to access the Forest School site belonging to Whitchurch CE Primary. 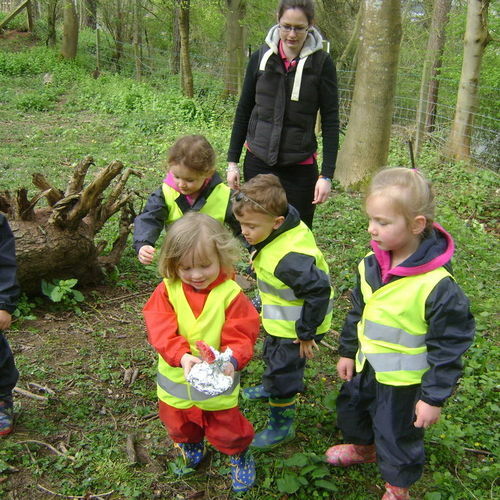 Each week, we help our older children into their wet suits and wellies and take them to the site where we enhance their learning through nature. 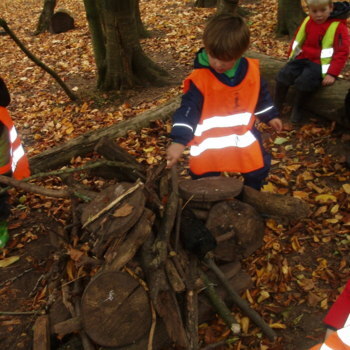 Planned activities focus on different areas of learning and encourage the characteristics of effective learning. 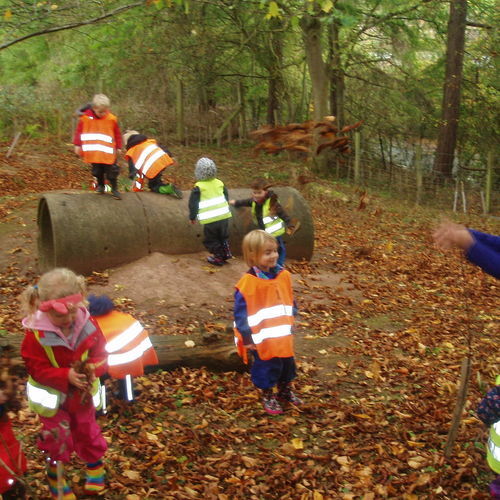 They are encouraged to observe changes in nature and to learn about road safety and hygiene en route. 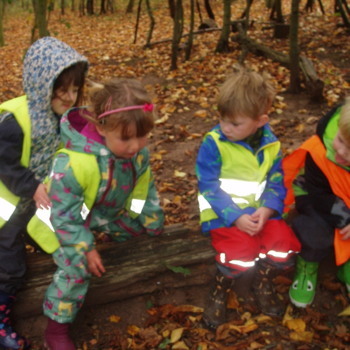 All outside visits are routinely risk assessed and we adhere to a higher adult to child ratio than in the classroom. 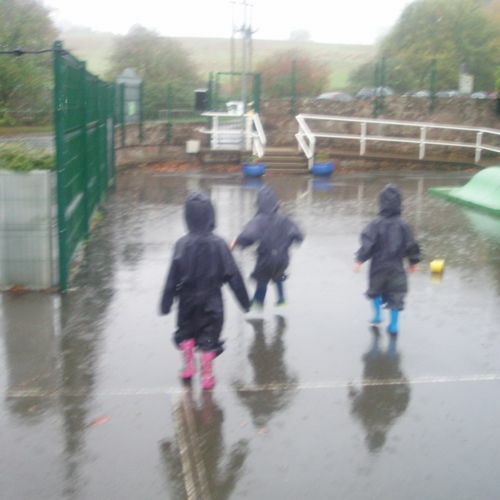 Younger children also learn to put on their wet weather gear but spend time playing and observing on the school field. 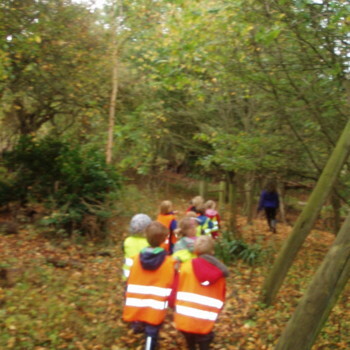 Being an area of outstanding natural beauty, we naturally focus on the outdoors as part of our learning and encourage our staff to use it to assist learning wherever possible. 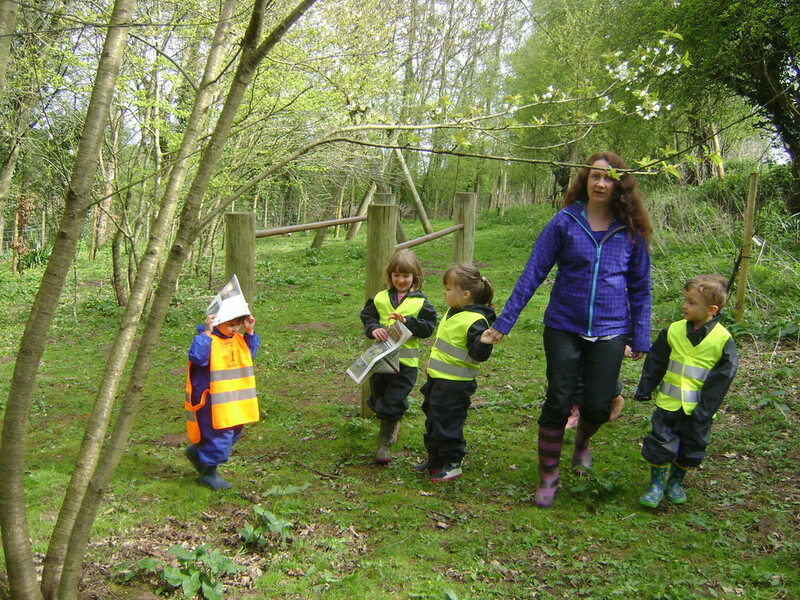 Role play... 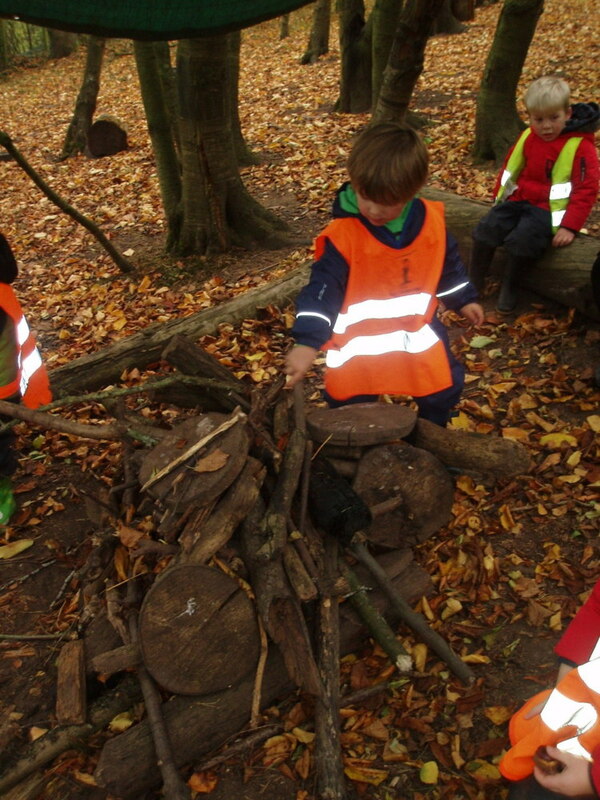 I can build a fire. 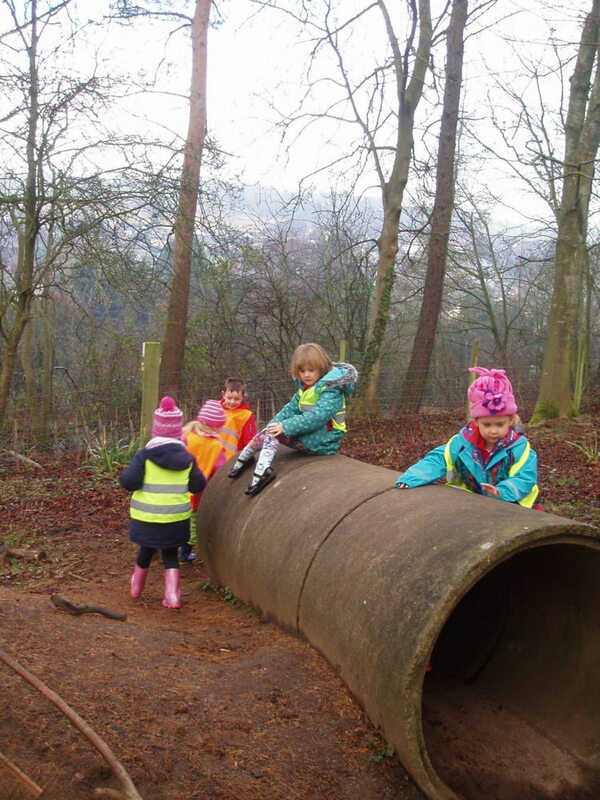 Children love investigating the concrete cave! 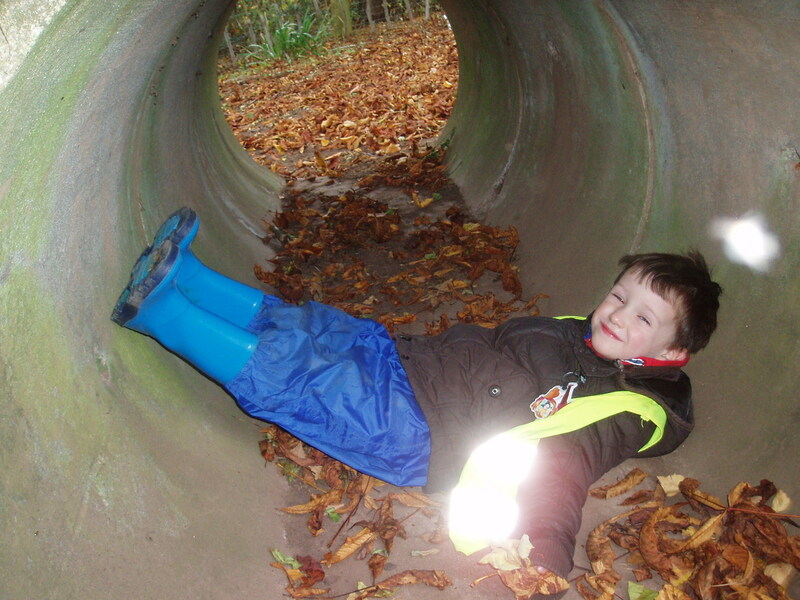 Up, over and around.... 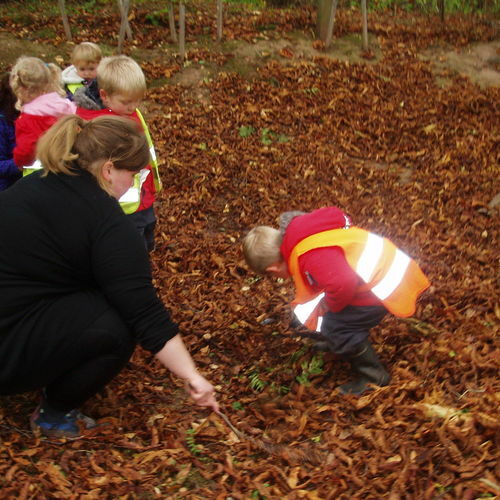 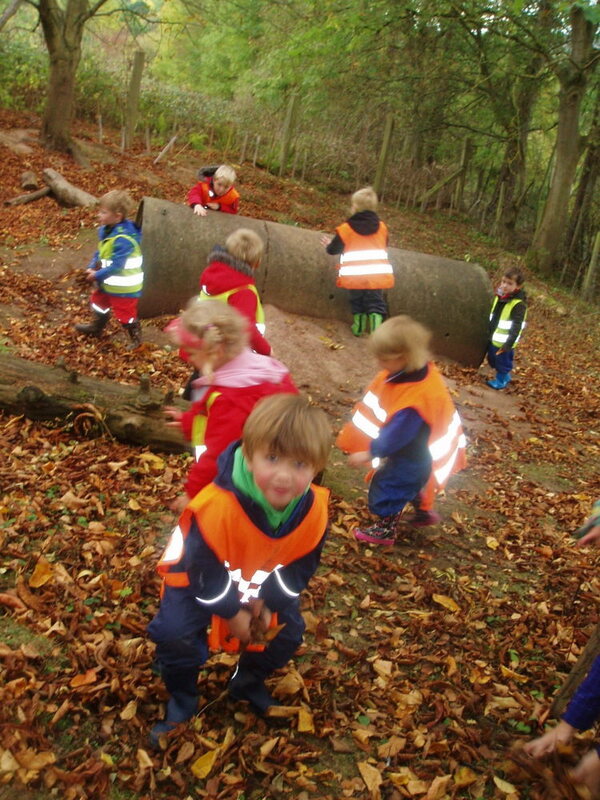 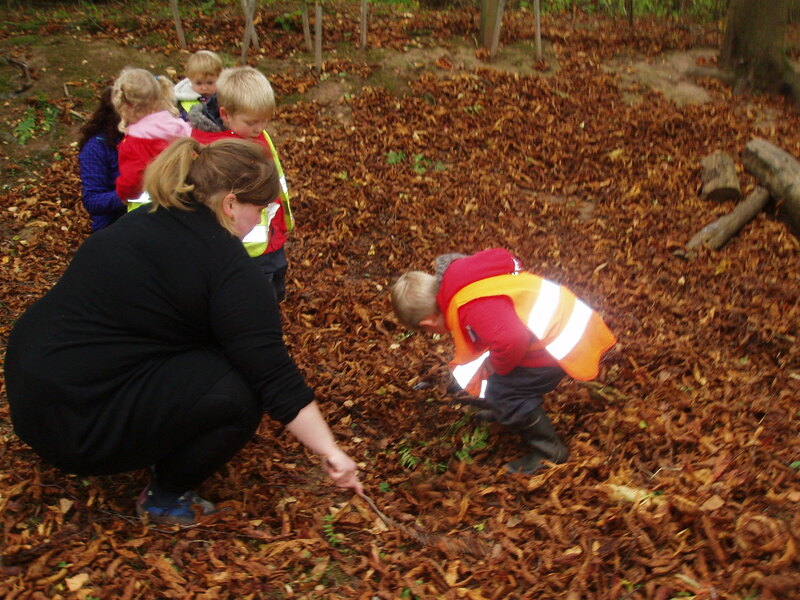 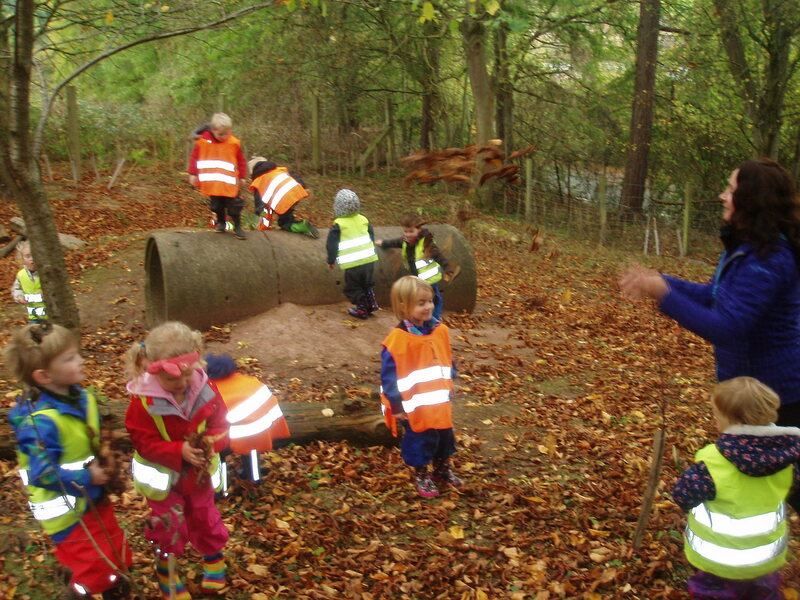 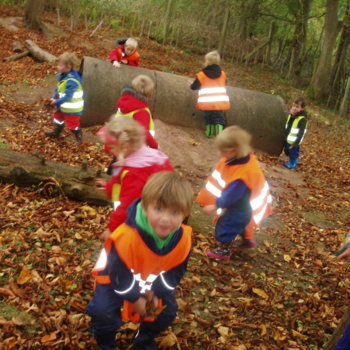 Autumn is the best, crunchiest, most colourful time to go to forest school.. especially when it's not raining!! 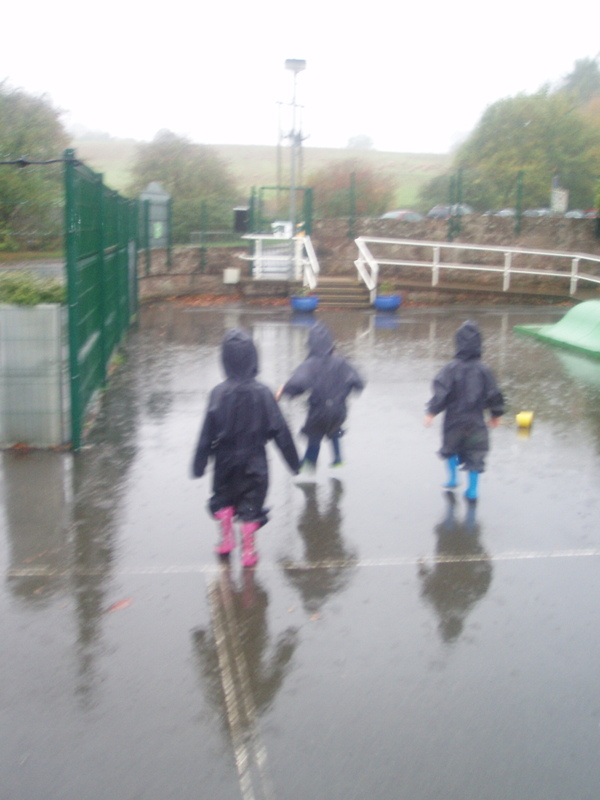 Puddle jumping on the way! 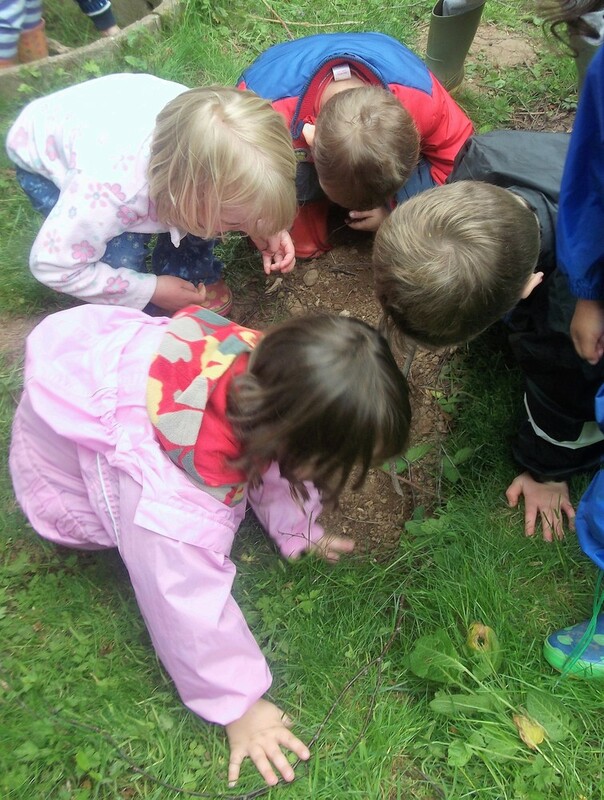 Look around you... What can you see, hear, smell, feel...? 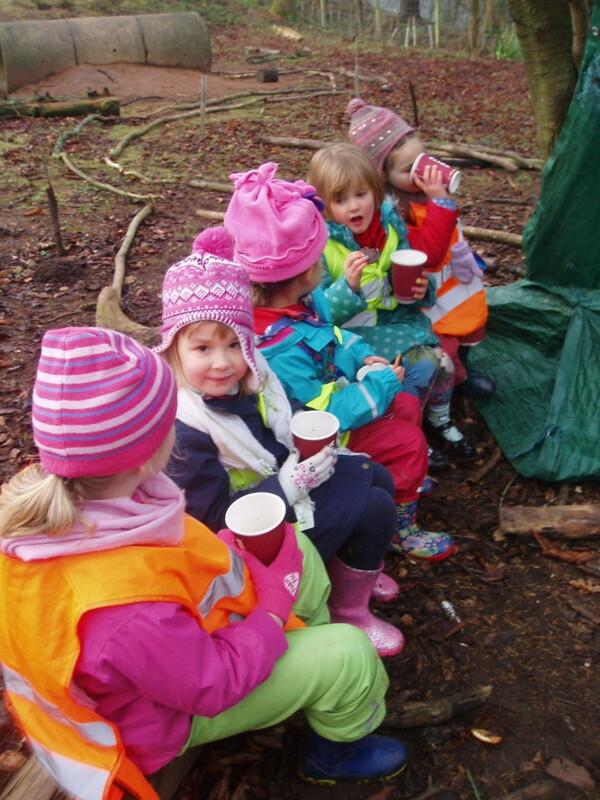 Warm drinks in cold weather! 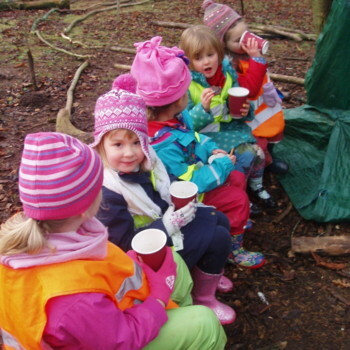 Holiday club children go to forest school too. 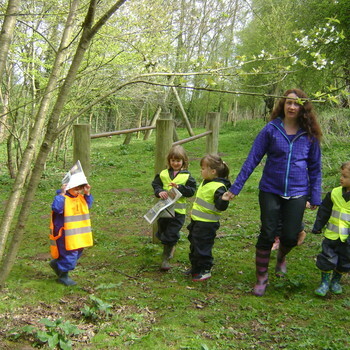 Sonia guides the children...who are clearly enjoying taking their pirate hats with them! 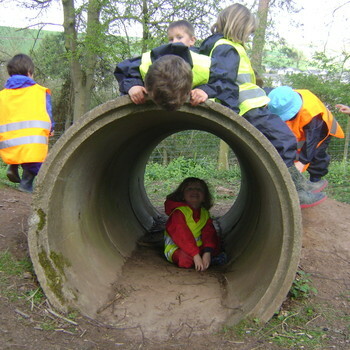 How does it feel? 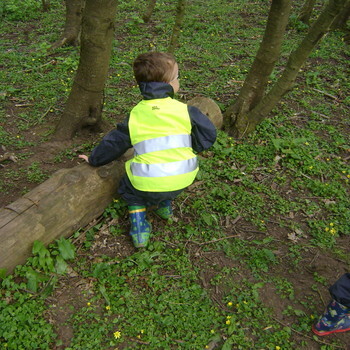 How do you think it got there? 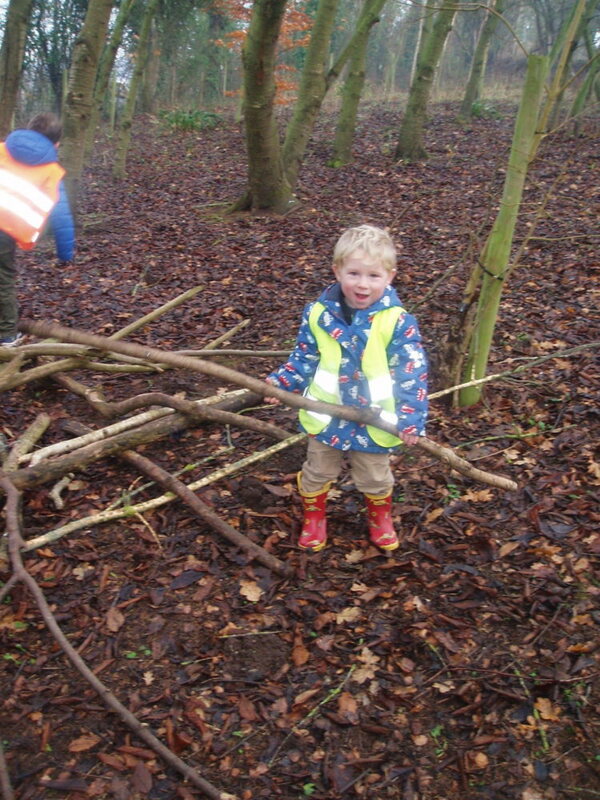 Is it bigger or smaller than you? 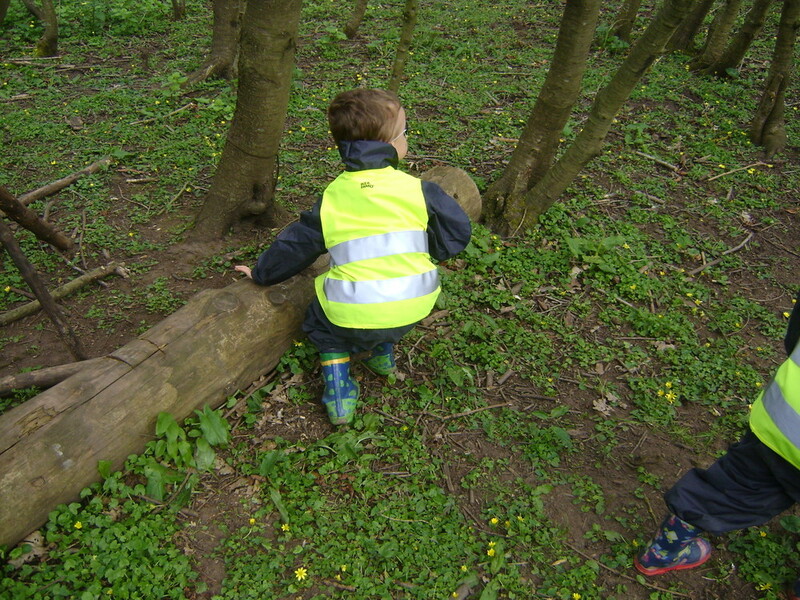 Do you think you could carry it? 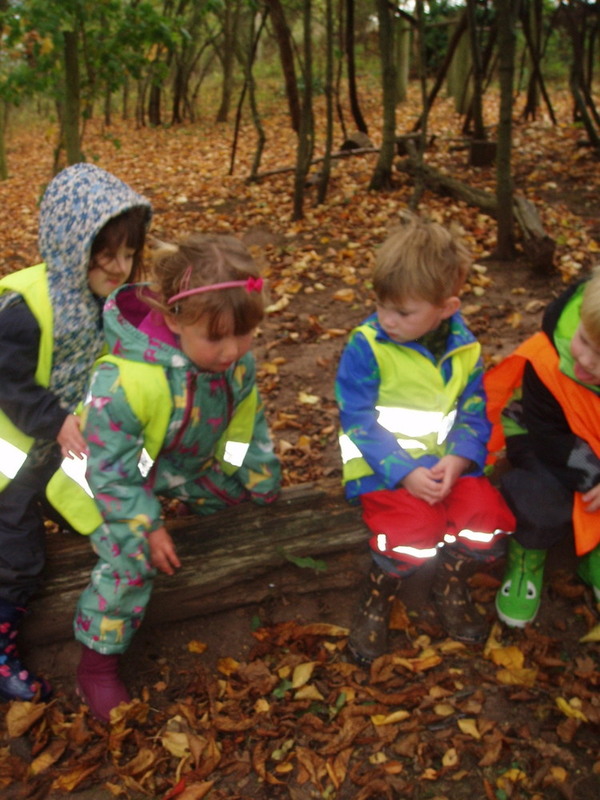 We find lots of interesting things to look at and wonder about....and huge amounts to talk about. 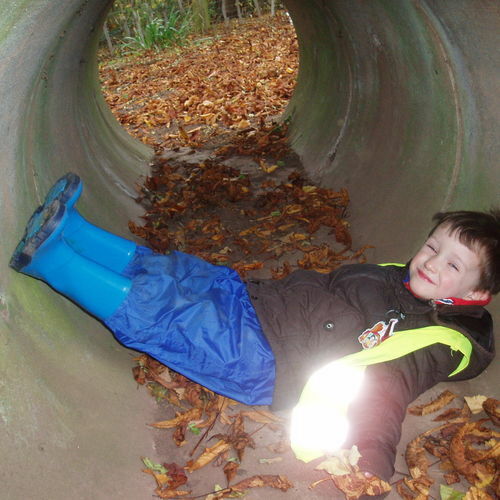 Hellooooo up there..... helloooooo down there! 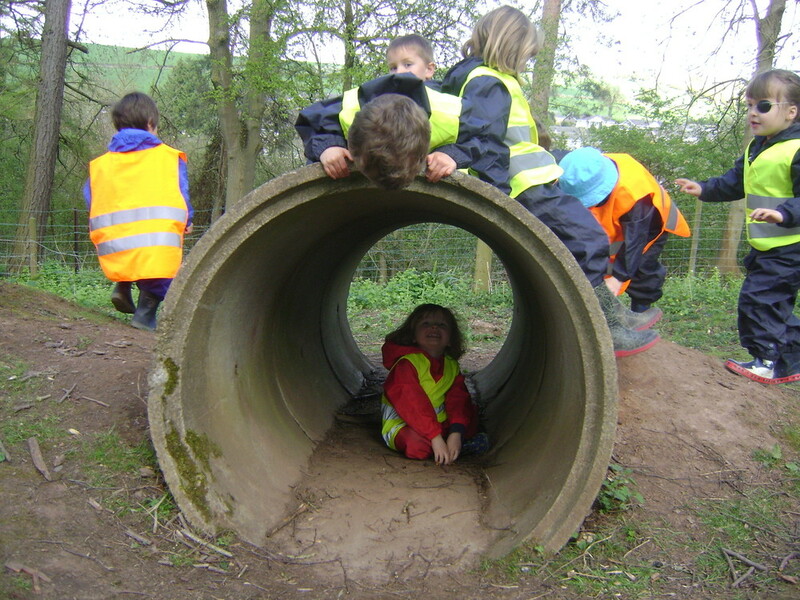 The tunnel echoes really effectively. 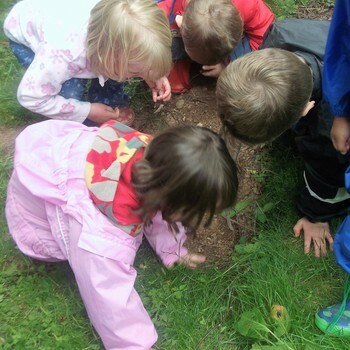 Looking closely at what we find encourages co-operation and communication and sometimes a little tolerance!